CES is the world’s largest consumer innovation show with over 170,000 attendees. The experience of Sleep Number’s exhibit this year was singularly focused on launching the ‘it’ bed by Sleep Number, and to engage and attract the millennial target customer. The exhibit digitally communicated product benefits through a unique 15’ tall curved HD projection screen, as well as unexpected video screens formatted over each bed to communicate product benefits. 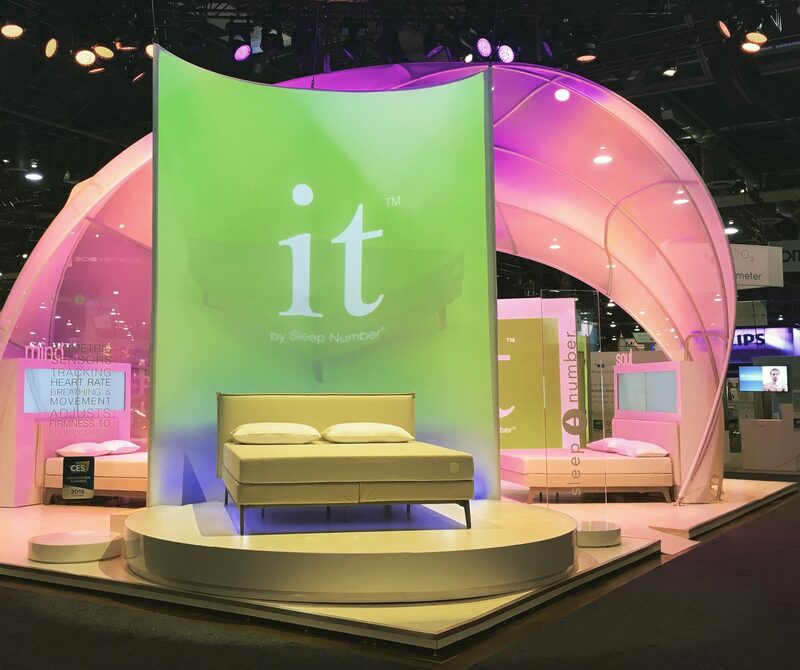 The booth features a one-of-a-kind interactive experience not seen in any other retailer, event or installation to create a visual representation of the physical experience of SleepIQ Technology inside the ‘it’ bed.